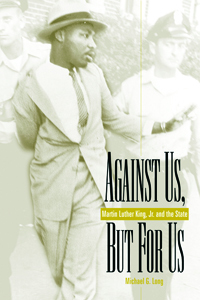 What was Martin Luther King, Jr.'s understanding of the State? In this provocative and challenging work, Michael G. Long addresses this very basic but overlooked aspect of King's thought. In King's vision there are three important elements of his view of the State. First, King understood the State to be reflective of and involved in the creating, preserving, and reconciling work of God. Long contends, the foundation of this view is King's christologically grounded vision of the beloved community. While King understood the State to be deeply sinful, he affirmed the role of the State in creating, preserving, and reconciling work of God. Like the individuals that make up the State, the State is not only a force of good, but also of evil. Second, King's theological understanding of the State remained relatively constant in most of its fundamental elements but developed in substantive content and expression throughout his life. With this argument, Long counters King scholarship that posits a radical transformation between the first decade and the last three years of King's ministry. Third, King's understanding of the state has its roots in the African-American tradition he experienced through his family and his Morehouse professors—many of whom were Black Baptist preachers as well as in European-American religious and republican traditions. Identifying King's thought as that of a bricoleur—a moralist who uses moral languages for his own use—Long warns against a tendency to dismiss the interconnections between the African-American and European-American dimensions of King's education. King was a black bricoleur. Finally, the root of King's understanding of the State is not in civic republicanism, theological liberalism, Marxism, Niebuhrian realism, or in any other such school, but in the religious tradition he experienced at home and at college.